Mariuca's Perfume Gallery: Who is Your 80s Hunk? Who is Your 80s Hunk? While browsing through Emila's other blog today, I found this totally rockin' test for all you 80s fans out there. I know many of you are stuck in the 80s just like me so don't be shy and come and take this test. It would be cool to find out all your 80s hunk wouldn't it? Mine is Kirk Cameron YAY! I did have the biggest crush on him back then and never missed an episode of Growing Pains, just to see my heart-throb Kirk in action LOL! And what's worse, I even wrote him a fan mail OMG! Ha ha ha, that was so funny but the best part was that I actually got a response. Mind you, it wasn't from him per se, more like from his Fan Club, but that letter put me on a natural high for days LOL! The good old 80s, who doesn't miss it yeah? ooohhh!! We're sharing the same hottie!! LOL! I too had the biggest crush on Kirk Cameron! He was sooooo fineee!! hahaha.. But Emila's John Stamos is pretty hot too yA?? And THanks for the linky love, GP! Marzie, first of all I LOVE MPG's new look! :):) I took the test even though I didn't really have a crush on anyone during that time, I was still a baby! Lol!! My 80's hunk is Bill Gates..ewww! Lol!! Sweet and sensitive guy huh? I get it! Lol!! Oh yeah la, I was so happy to see u got Kirk too lolz!! He was such a cutie, and so cool (that time la! )...wonder what happened to him now and is he still as cute as ever! Oh ye ke Bono? He he.. I want to advertise Mariuca at MPG pun kena tunggu queue lolz! Deb! Oooops forgot to respond to ur second comment! I did get Kirk Camron!!! Will post this soon at my blog.. modal interim lah..lolzz!! Mine is Kirk Cameron also...same as yours. Looks like we both in the same track.. I got John Stamos. Yeah, that sounds about right. HEhehe this is cool! Debbie got Bill Gates!!! How cool is that! oklar, i really need to sleep now. If not i'll be scaring my clients with two huge panda eyes. lolz! Nite nite!! Love & HUgs!! He he he, thanks for sticking around Jean. so nice to see u night-owling around at MPG! Wah another John Stamos, so now my Kirk Cameron is tied with JS! Need more Kirks here lol! Fun game...I got John Stamos, but I don't even know who he is...my 80s hunk is Don Johnson, hands down. Of course cannot see your response hehe..I chose that answer too. Sweet and sensitive guys are often..geeks! But some geeks are cool, like the super-rich Bill Gates! Lol!! 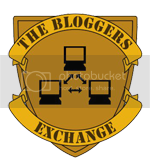 Roxiticus Best Blogs is happy to have MPG spicing up the sidebar and cheering us on in a Battle of the Blogs. Roxy!! I LOVE CK Escape, that is one of my first buys and love it until today! So happy to see it being singled out here lolz! MEOW Sushi!!! Oh hurry up and get mama to take this test, we don't have Rob Lowe here yet he he he!! Bet u don't know who that is either huh? Are you having a great day so far?? Thanks for the linky love ya.. must really find out who this John Stamos is..lolzz!! But i dont or didnt like him lol!!! Marzie, ye ke you love geeky guys? Geeky guys can be so sweet kan? Hehe..not in the hopeless romantic kinda way but just simply sweet. Can go gugu gaga! Lol! Can I switch to David Hasselhoff? Hey marzie its not fair!!!! Hunks only for ladies!!!!!! Can male have hunks??????? For me it wiould be the Incredible Hulk!!!!! What a HUNK! What a fun quiz to do on a lazy, hot sunny Saturday afternoon...my hunk is... JASON BATEMAN. And hey, he's still pretty cute even today! :-) I'm happy with my hunk! Mine is Jason Bateman...and, yep, that's the right 80s hottie for me! John Stamos indeed! I still watch reruns of Full House, LOL. Loved him there, he's so cute! Heh! Who'da thunk it? John Stamos...of course! Thanks! GP! So sad to hear you're not feeling well.. So here I come bearing flowers and hot soup... hope you feel better soon ya!! hehhe..so glad you are feeling better dearie.. am watching tv and surfing at the same time! GP! Watching repeat of CSI but finish already!! Wow kirk is my crush. Yeah I slept abt the same you did as well.. penat semacam... it's that time lahh.. Anyway.. back again with LJL and adsurfari.. I got paid already you know!! Hi! What a cute quiz. I got my favorite guy, Scott Baio, which is perfect! I loved him on Happy Days, and followed him to Charles in Charge, and I loved him to pieces. He's still beautiful. Now I have to go find out what he's up to these days. LOL! You go Theda, find out what ur 80s heart-throb is up to nowadays LOL! Doesn't he have a reality show or something?? I too followed Scott from HD to Charles in Charge lol! Hola Marzie. Mine says Michael J Fox and it's true. I luv him in Back to The Future (I,II & III) and the famous Family Ties comedy. definitely Jon bon Jovi and he's still soooo HOT!!! Richard Grear will alway do it for me. P.S. You have a prize over at my blog waiting for you. A token of all the hard work you put into your blogs. Hope it brings you loads of traffic. My 80's hunk was Kirk Cameron, too! He was the best! Or so my Mom tells me so!